Located in the tropics with coconuts palms, bananas and mangoes, Barra has easy accessibility combined with the least travel time, making it your perfect winter get away. This sleepy little town is popular with those looking for a quiet stretch of beach without the large hotels and resorts of other larger Mexican cities. 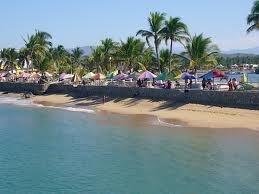 What you will find in Barra de Navidad are colorful local markets, cobblestone streets, small, family owned stores and thatched beachfront seafood restaurants. 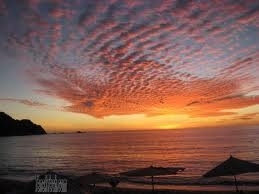 The main beach front with its many bars provide a perfect location for stunning sunsets every evening. The best times to visit Barra are between October and May. You will find perfect 80 degree days and nite time temperatures of around 65. The water temp is between 75 and 85. The humidity is low and there are few bugs, it rarely rains. Winter in Barra is similar to summer time weather in southern California and therefore makes a perfect winter time home that allows you two summers a year! The heart of downtown Barra de Navidad is blocked off for pedestrian only traffic and contains many small stores, excellent for shopping. A center plaza is a popular gathering place for locals and tourists. Recreational activities here include fishing and boat trips,mountain biking, swimming, sunbathing, snorkeling, surfing and boogie boarding. A large lagoon separates Barra de Navidad from Isla Navidad, and it is criss-crossed by small fishing boats gathering scallops and boats that transport visitors to the luxurious Grand Bay Hotel, complete with a golf course, that is the only resort of this type in the area. Originally known as Puerto Xalisco, it was given the name Barra de Navidad by Viceroy Antonio de Mendoza who arrived on the 25th of December, 1540. Known to more adventurous travelers for some time, it's now receiving more people looking for an alternative to places such as Puerto Vallarta. 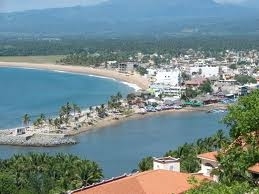 Barra de Navidad has a beautiful golden beach on a small bay it shares with Melaque. Facing northwest it regularly enjoys spectacular sunsets. The lagoon is home to a fancy new marina and during the winter it's an anchorage for many sailboats that love it's calm water. Numerous seafood restaurants along the water's edge serve the catch of a small fishing fleet that leaves the lagoon early each morning. 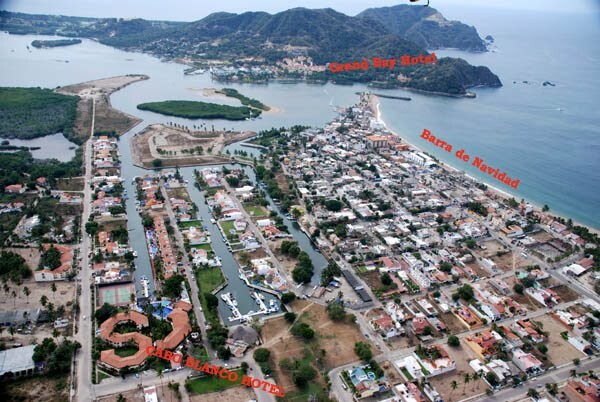 Take a water taxi across the lagoon where you'll find a smaller town called Colimilla and belongs to the state of Colima. The Isla Navidad Resort complex surrounds the village with a 27 hole golf course and the Grand Bay Hotel which is the most luxurious in the area. 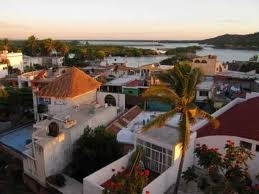 Barra de Navidad offers a full range of hotels from the cheap to the very expensive with most in the medium price range. Also available are condos,bungalows and rental houses. Food options run from traditional fare to fresh seafood and international cuisine. Most are moderately priced. The closest airports in the area are the Manzanillo airport (ZLO) located about 22 miles (35 km) southeast of Barra de Navidad in Manzanillo, Mexico. Daily flights from LA and Houston are available. 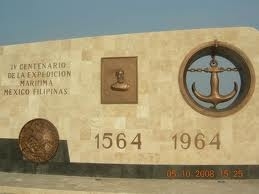 Colima airport (CLQ) is located approximately 63 miles (101 km) east of Barra de Navidad in Colima, Mexico. Another alternative is to fly into Puerto Vallarta and then catch a bus from the nearby station The bus system here is very organized and first class, many with movies and reclining seats. 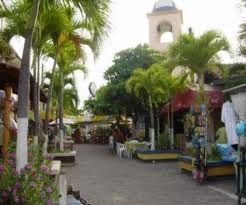 Buses leave every few hours from Puerto Vallarta. Taxis are cheap and easy to find.